NAUTIZ X8 LEADING THE WAY The Nautiz X8 rugged handheld delivers the largest, most brilliant capacitive touchscreen in its class. This rugged PDA offers offers an unprecedented combination of processing power, connectivity and field with a tough IP67 ruggedness rating. The best ultra-rugged data collector available! The MC9200 is the latest in the industry-leading rugged MC9000 Series, the industry’s gold standard for mobility in inventory and asset management in the most demanding environments — from the warehouse floor to the dock door. 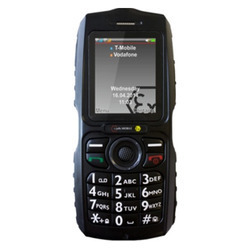 VISIONTEK 98 PDA, a device with camera and barcode reader, is a smart industrial mobile phone with touch screen that supports communication modules like Bluetooth, GPRS GPS for rapid online and offline transactions.